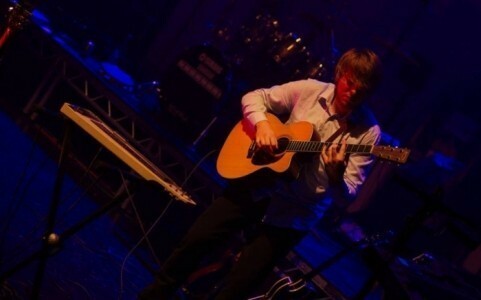 Oliver Day - Versatile, Professional, Solo Instrumental Classical and Acoustic Guitarist. Oliver can deliver guitar music in multiple genres to your taste; Classical Music (Spanish/Flamenco), Popular Song Guitar Arrangements, and/or Hybrid picked style guitar. Available to hire as a solo instrumental musician with his own amplification (PA), he c ... an deliver guitar music in multiple genres to your taste; Classical Music (including Spanish and Flamenco pieces), Popular Song Guitar Arrangements, and/or Hybrid picked style (Tommy Emmanuel and Steve Howe Instrumental guitar pieces). Classical, Spanish and Traditional Music such as: Cavatina, Spanish Romance, Greensleeves, Cannon in D, Moonlight Sonata etc. 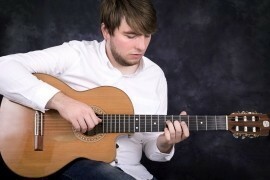 Popular Song Arrangements for Guitar: E.g. The Beatles, The Eagles, Queen, Stevie Wonder etc. A Variety of Hybrid Picking Pieces such as tunes by guitar virtuosos Tommy Emmanuel and Steve Howe: Guitar Boogie, Classical Gas, Clap, Valley of Rocks, Ram etc. 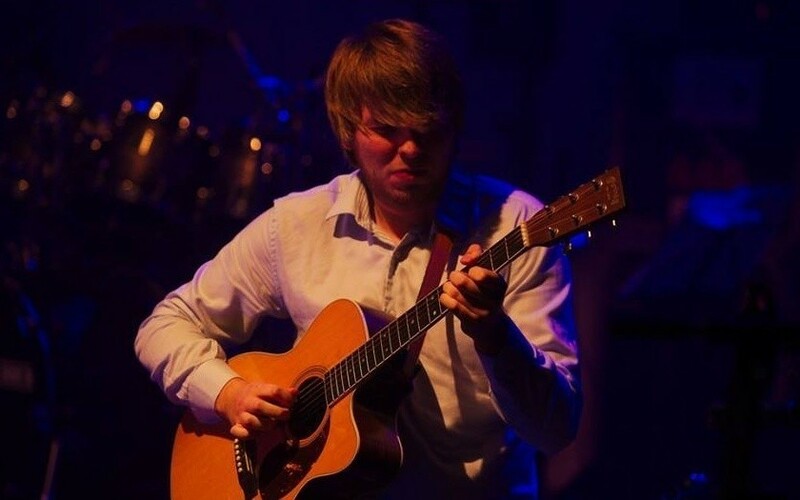 Oliver is a professional musician (guitarist) from Lancashire, now based in London, UK. He graduated with a first-class degree in popular music at Leeds College of Music in 2014. He started playing at a young age, covering a wide range of playing styles as he progressed. 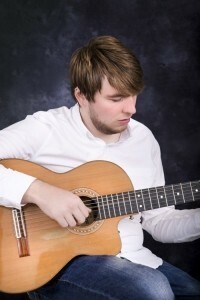 As a teenager, he achieved Grade 8 Distinction in both Electric and Classical Guitar. Oliver plays with various bands and artists ... at venues throughout the UK. Bands include Winter Springs, a six-piece vocal harmony based, folk/pop singer-songwriter collective and Fragile, UK's leading Yes Tribute Band (fronted by Claire Hamill). Late 2016, John Holden contacted Oliver to play guitar on his album (Capture Light) remotely from Oliver's home studio. This was and became an album featuring an array of respected musicians in progressive rock. Notably, members and ex-members of progressive rock band Yes (Billy Sherwood, Oliver Wakeman) and the ex-singer of the band The Enid (Joe Payne). This gave Oliver the opportunity to record with musicians he regarded highly, using a variety of instruments on John compositions. Capture Light went on to be voted second best album of 2018 by Prog Mill Listeners on Progzilla Radio. 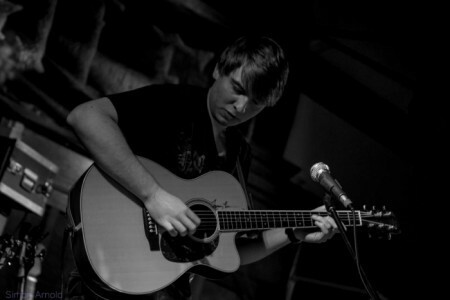 Playing solo guitar since an early in my development as a guitarist. 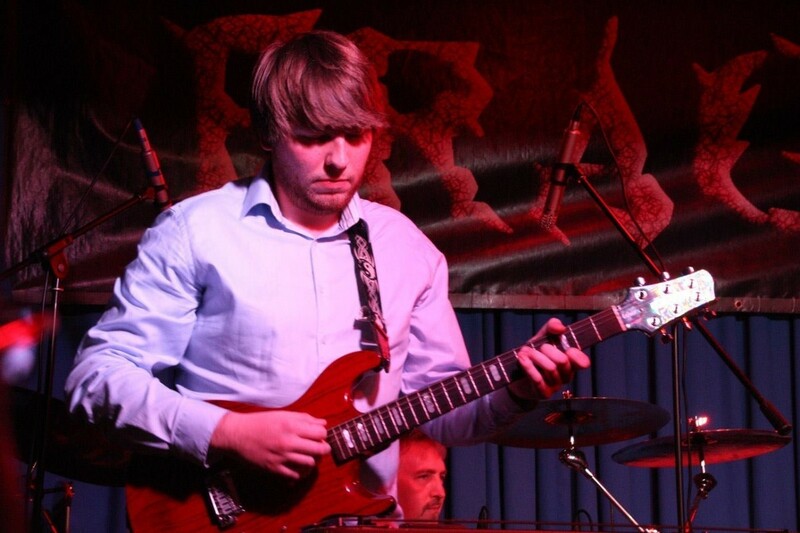 15 years experience playing guitar in various settings and genres, solo, bands, to many audiences. Performed at London Palladium 2018. Performed on second best album voted by ProgZilla Radio, 'Capture Light' alongside Billy Sherwood and Oliver Wakeman of Yes. Performs with 'That Joe Payne' voted best male vocalist Prog Magazine. Corporate end of year event. Wedding Reception Entertainment Private Parties Corporate Events Cocktail Receptions Product Launches Trade Shows Christmas Party Events Gala Dinners Jewish Weddings After Dinner Entertainment Bar Mitzvah Bat Mitzvah Birthday Party Entertainment.